What was the Diet of Worms, and how does it relate to Freemasonry? 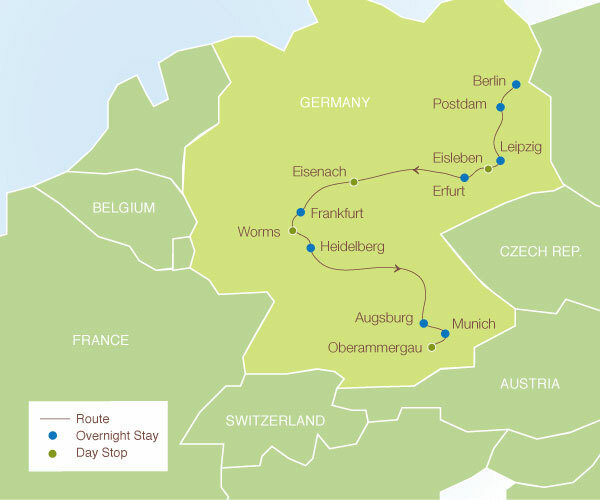 In 1521, an Imperial Council, referred to as a “Diet,” was convened at Worms, a city situated on the Rhine River in Germany. This assembly was called by Holy Roman Emperor Charles V to consider the growing crisis caused by the Reformation, particularly Martin Luther’s instrumental role in igniting the movement and promoting his protest against the Catholic Church. Europe was in a state of transition in the first decades of the 16th century as the revolutionary philosophies of the Renaissance had brought many of the accepted practices and beliefs of the Church into question. The Holy Royal Empire was ruled by the Emperor and the Pope, creating a joint spiritual and political leadership structure. Emperors were elected by a majority vote of four secular and three ecclesiastical princes. Frederick the Wise, ruler of Germany, was one of the secular princes who voted in favor of Charles V.
When the Papacy moved to silence Luther, Frederick provided protection to Luther and insisted that the Professor be given the opportunity to respond to the charges on German soil, surrounded by political forces which were sympathetic to his cause. Martin Luther was an ordained priest in the Catholic Church and a Professor of Biblical Interpretation at the University of Wittenberg in Germany. 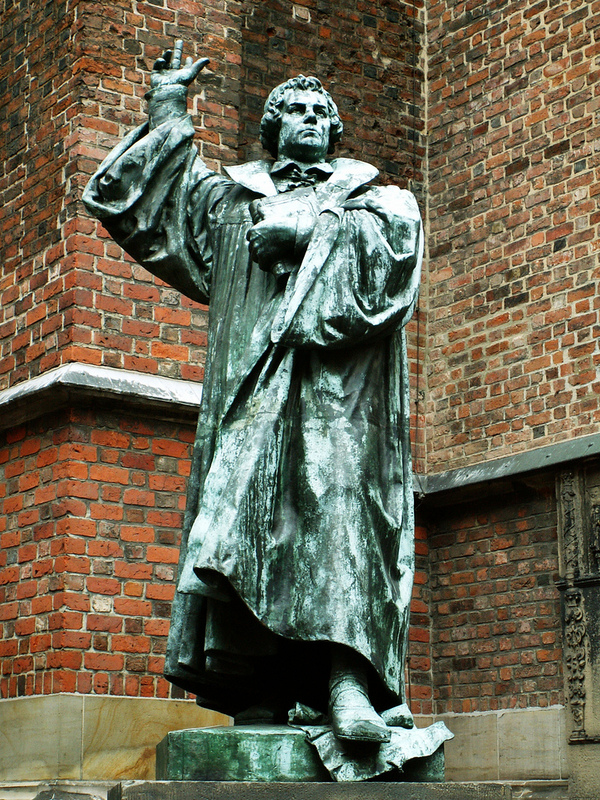 In 1517, he wrote “95 Theses of Contention” and nailed the document to the door of the Wittenberg Church. The list of theses condemned the Catholic Church on a variety of charges including the practice of selling “indulgences” for the forgiveness of sins. As a priest he had become disillusioned with the Catholic doctrine of salvation as laypersons could only obtain salvation through good works and the purchase of indulgences. An “indulgence” was a certificate that had been signed by the Pope which pardoned a person’s sins and promised the individual access to heaven. One could also purchase indulgences for dead relatives to relieve them of their sins and free them from Purgatory. Luther vehemently opposed the concept of purchasing salvation, radically arguing that salvation required no intermediary papal authority to act as an agent between God and man. Moreover, Luther believed that the Bible was the written word of God and should be the primary source of God’s wisdom on Earth. In response, the assembly issued the Edict of Worms on May 25, 1521, which declared Luther should be cast out of the empire, as well as, excommunicated from the Catholic Church. 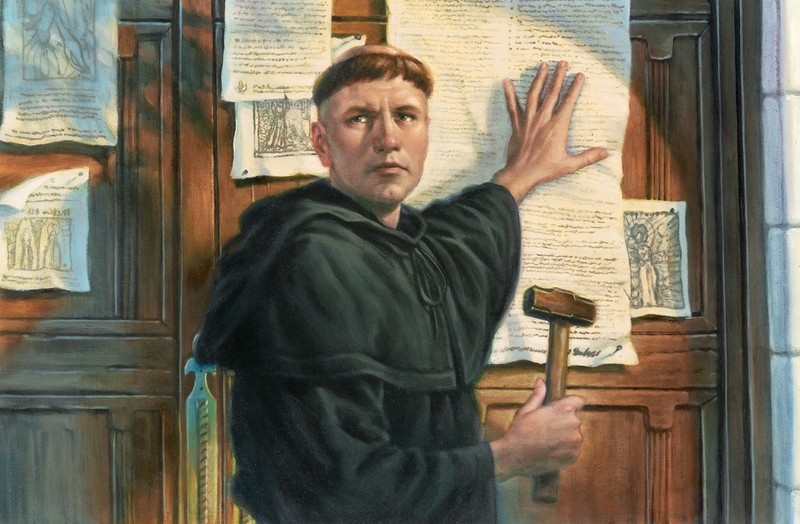 The Edict was never fulfilled as Martin Luther was protected by Frederick the Wise and continued to live in Germany. 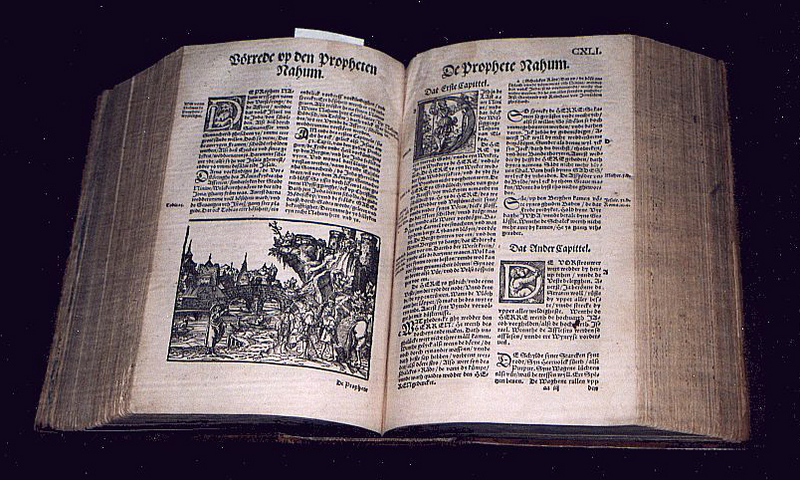 The professor went on to publish the first translation of the New Testament of the Bible in German in September of 1522 and published the first German translation of the entire bible in the 1530s. The invention of the printing pres s allowed Luther the capability to spread his theology in writing across the empire and ultimately lead to the widespread public reading of the Bible with his publishing of the translated German text. The Diet and Edict of Worms catalyzed the growing Protestant reformation, which led to a schism within Christianity. In the 21st century, Pope Francis affirmed Luther’s reasoning of relying on one’s conscience as means of achieving salvation. When asked to respond to whether God’s mercy is open to atheists, Pope Francis wrote, “God’s mercy has no limits if he who asks for mercy does so in contrition and with a sincere heart. The issue for those who do not believe in God is in obeying their own conscience. In fact, listening and obeying it, means deciding about what is perceived to be good or evil. 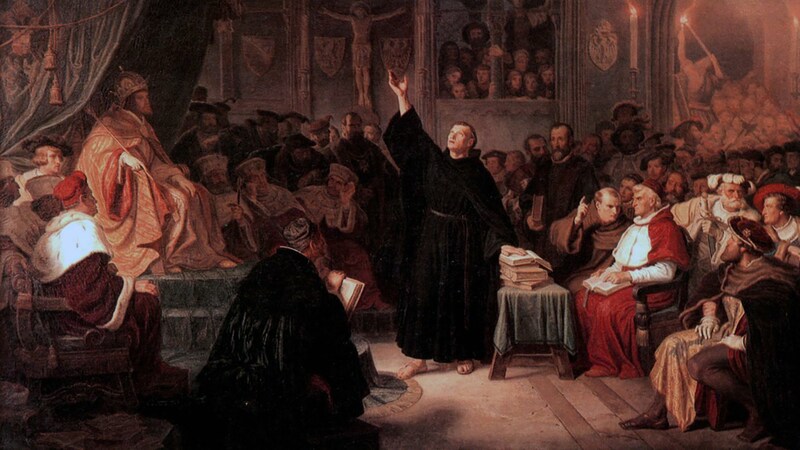 The goodness or the wickedness of our behavior depends on this decision.” Following this logic, Luther’s decision to stand firm in his beliefs, convicted by his own conscience, was ultimately justified by the head of the Catholic Church. Once convinced of the righteousness of his beliefs, he stood firm against intense pressure from the Church and the Roman Empire. He was so sure of his truth that he accepted excommunication and severe restrictions on his personal liberty. When Frederick the Wise arranged the Diet of Worms, how easy would it have been for Luther to acquiesce to the Council’s request that he disavow his stated beliefs? He could have stopped his excommunication from the Church and protected himself from banishment from the Empire. Yet, he did his duty. He stood firm in his truth and changed the course of history. How many today would risk such dire consequences to demonstrate our faith in God and our charity to man? Freemasonry teaches that we have a duty to God and mankind. We are instructed to live honorably, to speak truth, to practice justice, to love our neighbor, to serve God, and to work to the betterment of humanity. To do our duty regardless of the consequence is not always easy, but it is the task we are obligated to accomplish.